We indulge in manufacturing, exporting and supplying a wide range of Digital Nilometers to our respected clients. We fabricated these using top quality materials and advanced technology by industry experts. Our ranges of products are also used to check and correct nip loads in combers and draw frames. Our range is properly as per the requirements of our customers. We supply these to our respected clients at reasonable prices in the market. 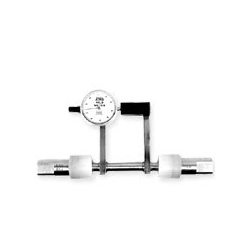 We are the prominent manufacturers and suppliers of a wide range of Draw Frame Load Gauge to our clients. Our ranges of these are fabricated using superior quality materials that are procured from reputed and certified vendors of the industry. We offer these in various specifications and can be properly customized as per the specifications provided by the clients. These are extensively used to check and correct nip loads in combers and draw frames. We are well known manufacturer, exporter and supplier of ATIRA Nilometer. Our ranges of products are contrived using best quality materials and available in various sizes and models as per the client's requirements. 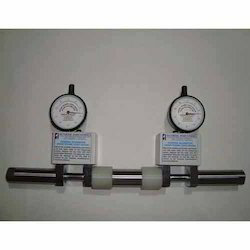 These digital technology Nilometer are used for universal measurement of draw frames/comber preparatory and comber detaching roller pressure and its uniformity along length of nip. These products are also checked stringently by quality analysts to ensure that defect free and best quality products to our honoured clients. Clients can avail these from us at affordable prices in the market.